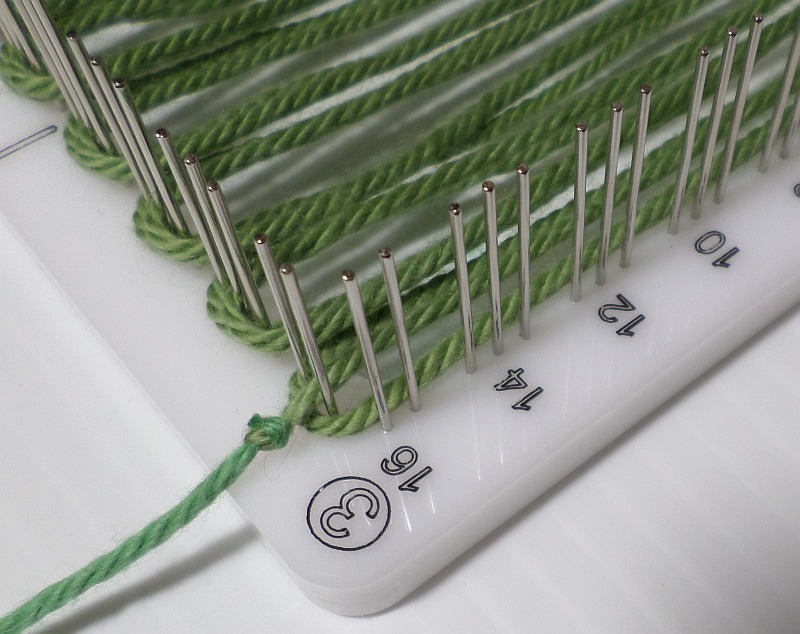 Continuing my adventures in weaving with cotton—it’s been too-long overlooked by me. I wondered how it would behave in the Two-Layer-Warping (2LW) method—would it be easier to weave? It’s been nearly two years since I spent much time exploring 2LW, so I figured it’s time to pull it out of hibernation. 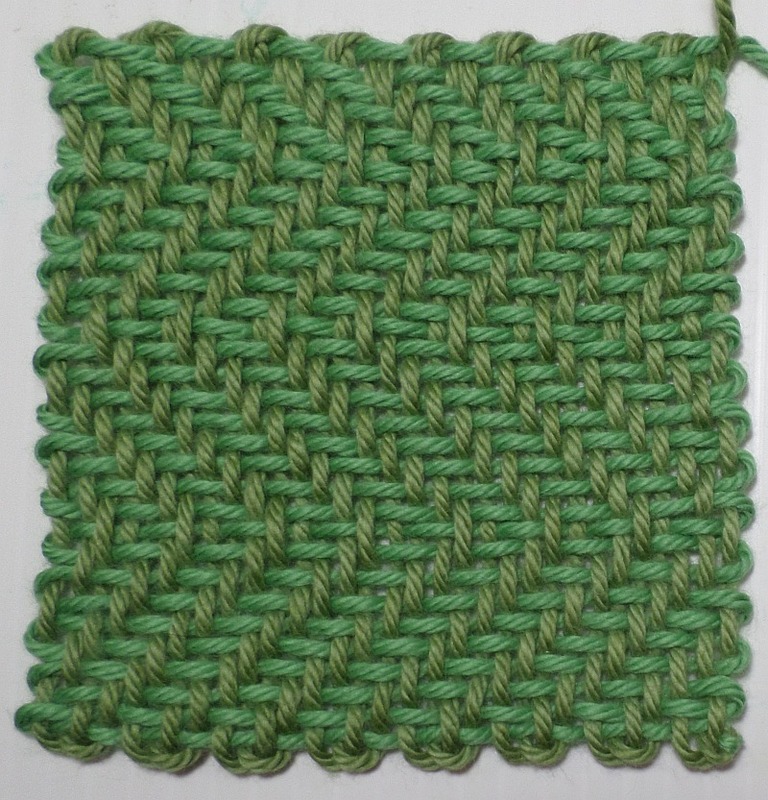 I used Hobby Lobby’s I Love This Cotton (in Sage and Apple Green) and started by warping very loosely. It was a tricky warping job because these two skeins of yarn have been conjoined by a weaver’s knot for a couple of years. (I needed something to practice on, these two yarns were handy, and I never could bring myself to cut them apart. They’ve been sitting in the bin awaiting this day.) I had to get the knot to end up exactly at the correct corner. I roughly followed the instructions for the Switchback Variations from my 2LW blog post (link in first paragraph). These colors ended up looking interesting together. 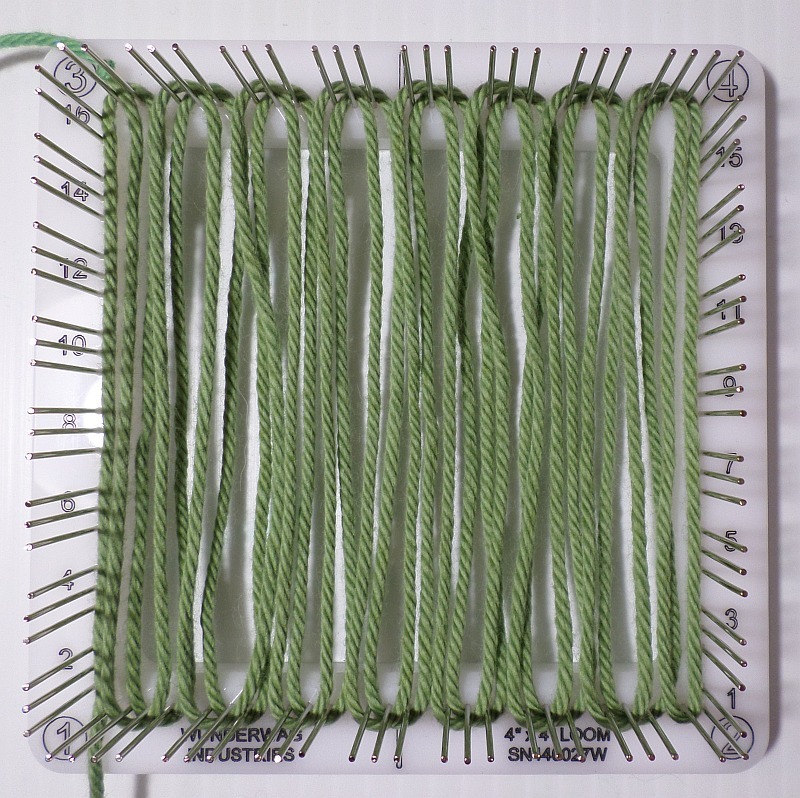 Because the tension problem is relieved in 2LW, I’m considering trying Sugar ‘n Cream (my least favorite pin loom weaving cotton) with this method. And I learned a bit more about 2LW while making this square—nothing like experience to give one confidence. It might be time to write an updated post.